Josiah Belden was born in Cromwell, Connecticut in on 4th May, 1815. Both his parents died when he was young. At the age of fifteen he moved to Albany where he became apprentice in the jewelry trade. In 1836 he established a business in Vicksburg. Later he moved to St. Louis, Missouri. On 9th May, 1841, he arrived at Sapling Grove to join the party led by John Bidwell. Belden later recalled that he was the kind of man who was "rather fond of that kind of adventure." This was to be the first ever wagon train taking people from the Missouri River to California. Bidwell later admitted that the party included no one who had ever been to California: "Our ignorance of the route was complete. We knew that California lay west, and that was the extent of our knowledge." So when Bidwell heard a group of missionaries, led by Pierre-Jean De Smet, and guided by the experienced Tom Fitzpatrick, were also intending to travel to Fort Hall, it was decided to wait until they arrived at Sapling Grove. Fitzpatrick agreed to take Bidwell's party to Fort Hall. Bidwell later claimed that was a most important factor in the the party's survival: "it was well we did (wait for Fitzpatrick), for other wise probably not one of us would ever have reached California, because of our inexperience". The combined party left Sapling Grove on 12th May, 1841. As Frank McLynn pointed out: "The missionaries' four carts formed the vanguard, each drawn by two mules hitched in tandem. The main party consisted of eight wagons drawn either by mules or horses. In the rear were the slowest-moving vehicles - six wagons drawn by oxen." They followed the Sante Fe Trail for two days before branching off on a faint path created by fur traders who had already made the journey to Fort Laramie. On 16th May, 1841, De Smet wrote in his journal: "I hope that the journey will end well; it has begun badly. One of our wagons was burned on the steamboat; a horse ran away and was never found; a second fell ill, which I was obliged to exchange for another at a loss. Some of the mules took fright and ran off, leaving their wagons; others, with wagons, have been stalled in the mud. We have faced perilous situations in crossing steep declivities, deep ravines, marshes and rivers." The journey became even more difficult after crossing the Kansas River. The long grass interspersed with trees, resulted in most of the families abandoned the heavy furniture they were trying to transport in their wagons. Father Nicolas Point wrote that the "terrain between Westport and the Platte is one of those endless undulations which bear a perfect resemblance to those of the sea when it is agitated by a storm." Point also recorded that on a single day the party killed a dozen rattlesnakes with their whips without leaving the trail. On 4th June, one of the party, Nicholas Dawson, went out hunting alone and was captured by a group of Cheyenne braves. They removed his clothes and stole his mule, rifle and handgun. Dawson was then released and chased back to the wagon train. Tom Fitzpatrick went out to meet the Cheyenne and after negotiating the return of the mule and rifle, they smoked a peace pipe together. Nine days later the wagon train experienced its first death. As John Bidwell explained: "A young man by the name of Shotwell, while in the act of taking a gun out of the wagon, drew up the muzzle towards him in such a manner that it went off and shot him in the heart. He lived about an hour and died in full possession of his senses." On 22nd June the travellers reached Fort Laramie in Wyoming. The Methodist preacher, Joseph Williams, was shocked when he saw that the mountain men had Native American "wives". He also recorded that he disapproved of Fitzpatrick's attitude towards religion: "Our leader, Fitzpatrick, is a wicked worldly man, and is much opposed to missionaries going among the Indians. He has some intelligence, but is deistical in his principles." The wagon train left the fort two days later. They travelled along the south bank of the North Platte River until they reached the dreaded North Fork crossing. It was too deep for fording so so they had a great deal of difficulty reaching the other side. However, the pioneers got across with the loss of just one drowned mule. In July the travellers had difficulty finding enough buffalo to kill. 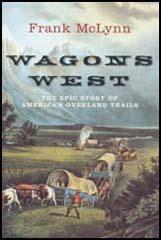 The difficult terrain meant that the wagon train was travelling at a slower pace. The journey from Fort Laramie to Soda Springs in Idaho, took forty-eight days to cover the 560 miles, an average of twelve miles a day. There was a short pause at Soda Springs for hunting. On 11th August the two groups went their separate ways. Pierre-Jean De Smet and Tom Fitzpatrick heading north to Fort Hall, whereas the John Bidwell party continued on the route to California. Only thirty-three people elected to go with Bidwell. Fitzpatrick tried to convince Bidwell to abandon his trip to California and proceed instead to Oregon. Smet later recorded: "They started purely with the design of seeking their fortune in California... and pursued their enterprise with the constancy which is characteristic of Americans." Bidwell sent four men to Fort Hall to seek advice on how to get to California. 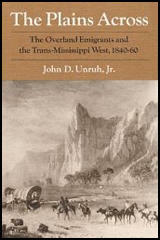 Frank McLynn, the author of Wagons West: The Epic Story of America's Overland Trails (2002) has pointed out: "The best intelligence available from Fort Hall was that the California-bound emigrants should go north of the Salt Lake before swinging due west, but should not proceed too far north for fear of running into a maze of rugged canyons, precipices and gulches; on the other hand, if they went too far south, they were likely to end by dying of thirst in the trackless desert." The wagon train had difficulty finding water to drink. The water they found in the Great Salt Lake area was brackish and had a bad smell of sulphur. The only way the liquid was drinkable was when it was brewed into strong coffee. Even the horses would only drink it in this way. Food was also a problem and on 5th September they decided to kill an ox and to abandon the wagon it was pulling. The next stage of their journey involved crossing the Nevada desert. After two days they reached Rabbit Hole Spring. Following the trails created by Native Americans they eventually arrived at Mountain Spring near Pilot Peak. It was here that two more wagons were abandoned and the oxen pulling the loads were killed and eaten. For the next three days, the six remaining wagons moved south, across Silver Zone Pass and the Goshute Valley. On the 15th September the decision was taken to abandon the wagons at the foot of the Pequop Mountains. As Frank McLynn has pointed out: "The reasoning was clear: they could get on faster, could negotiate rough and hilly country more easily, and would they have meat on the hoof in the form of the oxen, now surplus to pulling requirements. Naturally, they would no longer be able to claim that they were the first wagon train to reach California, but by now survival was the issue. Equipment and supplies were unloaded and packed on the backs of mules and oxen. Unused to loads, the oxen become skittish and bucked the packs off." One of the party wrote that: "Bidwell and Kelsey were to miss the wagons most, for their team were oxen, and an ox is not easy to pack or to stay packed." After passing some hot springs at the foot of Ruby Mountains on 21st September, they came to Mary's River (later renamed the Humboldt River). One traveller called it "the meanest, muddiest, filthiest, stream imaginable". They followed its south fork northwards to the Humboldt Sink, a marshy area, where the river disappeared into the desert. They were only able to kill the odd antelope or jackrabbit. They were now so short of food they began to kill the pack animals. They met a party of Shoshone who gave them food that reminded them of toffee apples. However, the pioneers lost their appetite for this food when they discovered it was a mixture of honey and crushed up locusts, crickets and grasshoppers. On 18th October the Bidwell party reached the Walker River at the eastern foot of the Sierra Nevada mountains. Over the next few days they lost four animals while crossing the mountains. On 22nd October the pioneers killed the last of their oxen. Josiah Belden claimed that for the last twenty days he lived on nothing but acorns. They eventually reached the summit close to Sonora Pass and were close to starvation when they found the Stanislaus River in California. By the end of the month they reached the San Joaquin Valley. A member of the Miwok tribe told them Marsh's Fort was close-by. Of the 69 people in Bidwell's party who set out from Sapling Grove, only 33 people reached Marsh's Fort on 4th November. However, the party became the first emigrants to travel overland from Missouri to the Pacific coast. Cheyenne Dawson wrote: "We had expected to find civilization, with big fields, fine houses, churches, schools, etc. Instead, we found houses resembling unburnt brick kilns, with no floors, no chimneys, and with the openings for doors and windows closed by shutters instead of glass." Belden settled in Santa Cruz where he managed a store for Thomas Oliver Larkin. According to the New York Times: "Mr. Belden, soon after his arrival, took charge of the general merchanise store at Santa Cruz. Business was conducted by barter, payments being made for goods in hides, tallow, and redwood lumber. Hides were taken at $12 each and redwood lumber at $40 per 1,000 feet." Later he opened his own store in Monterey. In 1844 he became a Mexican citizen and in return he received the Rancho Barranca Colorado land grant near Red Bluff in current Tehama County. After the Mexican War he sold the land to William Ide. In 1848, Belden opened a store in San Jose. Trade increased dramatically during the the Californian Gold Rush. It is claimed that he made so much money that he never needed to work again. After San Jose became the first incorporated city in California, Belden was elected its first mayor on 8th April, 1850. He also served on the city's Common Council before concentrating his energies on real estate and finance. The Belden Mansion, built in 1855, was surrounded by 11 acres of landscaped grounds. Later he became director of the Erie Railroad. Josiah Belden died in New York City on 23rd April 1892. Belden's letters and journal were published in 1962 as Josiah Belden, 1841 California Pioneer: His Memoir and Early Letters. Mr. Belden, soon after his arrival, took charge of the general merchanise store at Santa Cruz. Business was conducted by barter, payments being made for goods in hides, tallow, and redwood lumber. Hides were taken at $12 each and redwood lumber at $40 per 1,000 feet.